Productivity is a great word that people love to use, however, in the real world, productivity can be summed up in a simple question: Can I do my job easier or not? Microsoft has invested heavily trying to make the user and administrator experiences of Office 365 as easy and simple as possible. If you are thinking about moving your business to Office 365, here are some pretty persuasive reasons why you should. Office 365 Offers Easy and Seamless Integration with Other Solutions: The tools you already know, use and rely on for your workflow can seamlessly integrate into Office 365. The list of programs and tools that perform well with Office 365 is extensive and includes common solutions like Word, Excel, Outlook, and PowerPoint. Office 365 makes it easy to standardize your file formats and to ensure that everyone on your team can open, access and use the pieces you create. Mobile, on the Go Access, is Easy with Office 365: Mobile use is at an all-time high and your team uses smartphones, tablets, and other devices to stay connected and perform tasks, even when they are not in the office. 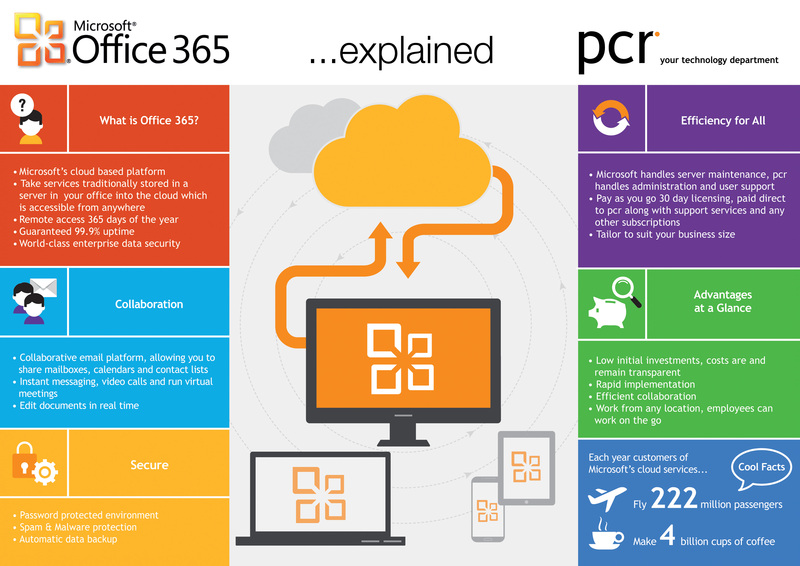 Microsoft Office 365 allows your team to open and process documents, access contacts and calendar information and send emails from any connected device. Office 365 works with both PC and Mac and with Android, iPhone and even Blackberry devices. Office 365 Enhances Communication and Collaboration: It’s easier than ever before to collaborate with your team and for your workers to share and access information. A password-protected portal can be established that allows your team to quickly access the documentation or files then need – and more than one person can access and work on a piece at a time. Once work is complete, progress is tracked and noted so that anyone in the group can quickly determine what has been done and what still needs to be completed. Collaboration and communication are about more than just opening, editing and sharing documents; Office 365 also supports robust, large-scale storage and sharing and even online meetings. Intuitive, Easy and Accessible: Unlike some other programs or packages, Office is free of jargon and very user-friendly. It has an intuitive, easy to learn dashboard that is standardized between applications. Even those in your group that are not particularly tech savvy can get up to speed quickly and become efficient users of this flexible suite of tools. Security and Safety Provide Peace of Mind: Microsoft has a robust and proactive security team and Office 365 receives their full attention. In many cases, the company has recognized vulnerabilities and released patches well before a publicized ransomware or malware attack. By identifying risk and possibilities for exploitation early, Microsoft has a long history of taking aggressive action to prevent you from being victimized by cybercriminals. In an ever-changing, ever-evolving landscape, regular patches and updates are a must; you’re far more likely to be victimized if you use a system that is regularly protected and up-to-date. Security is about more than updates; Office 365 features the same robust systems used by Microsoft and some of the biggest brands to protect networks, documents, and even email. With built-in scanning capabilities, your Office 365 suite can scan your email around the clock and alert you to any suspicious software or attempts to hack your systems. Flexible, Scalable Solutions: With a simple pay-as-you-go pricing setup and plenty of flexible options, you can start small and scale at your own pace. You don’t have to pay for more than you’ll use or begin to feel restricted as you grow. For new businesses experiencing growth, this flexibility ensures cost effectiveness. Since you can scale up as needed, your team can continue to work with the tools they are familiar with as you grow, you don’t have to change to a new system or adapt to new tools. From cost efficiency and scalability to the peace of mind that comes from working with Microsoft, Office 365 has plenty to offer the enterprises of all sizes. 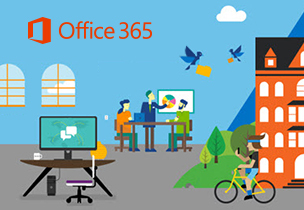 Interested in Office 365 and want to learn exactly what it can do for you? Contact CCSI (817) 459-4000 ext: 28; we understand the power of this suite of tools and know just how much it can help your business grow.